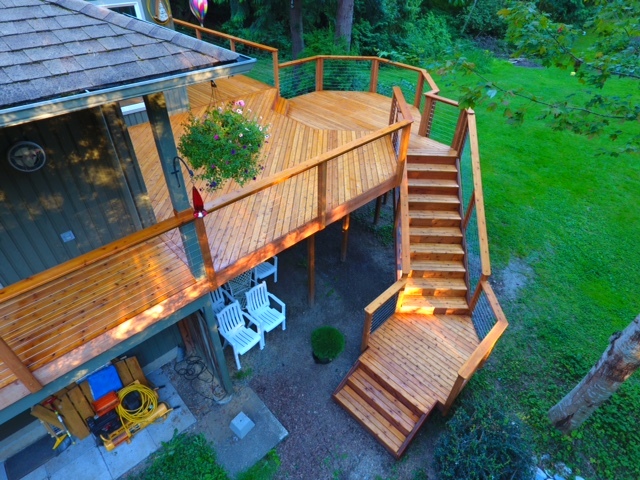 This is one of our beautiful cedar wood decks that has been finished with a clear coat stain. 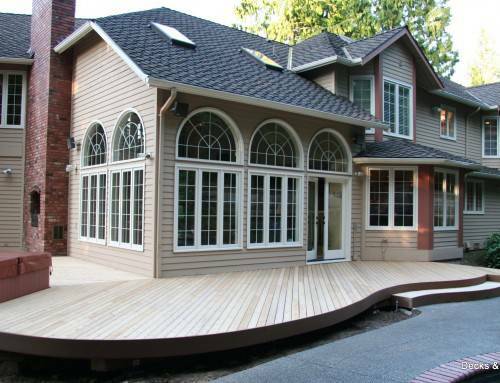 Transparent or semi transparent stains can really help to bring out the natural beauty of the wood and the grains in it. 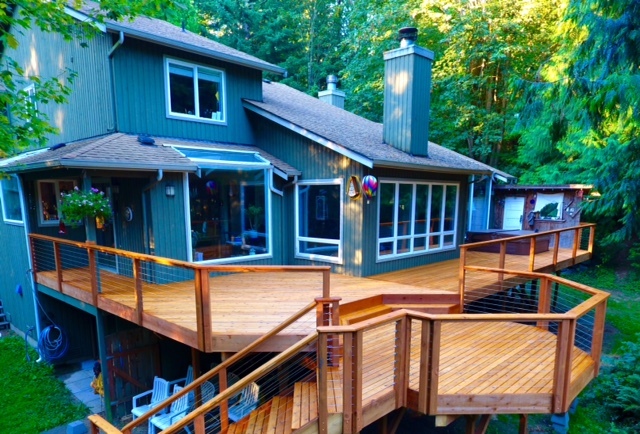 On this deck the natural elements of the wood work compliment the scenery around the house to give a feeling of belonging. 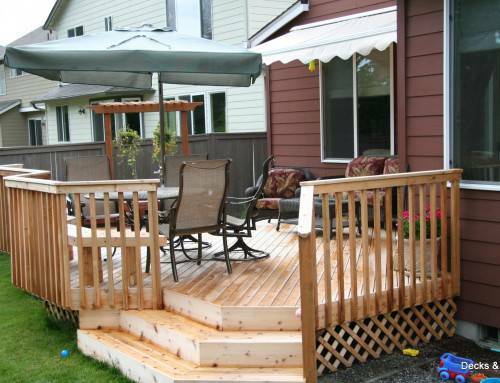 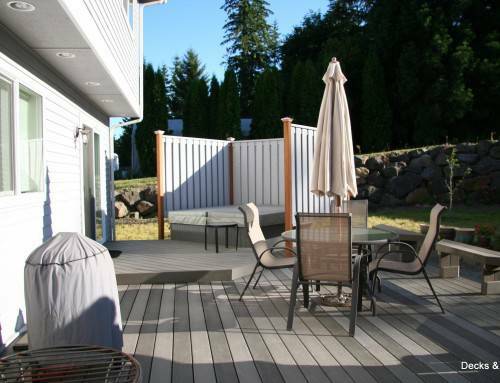 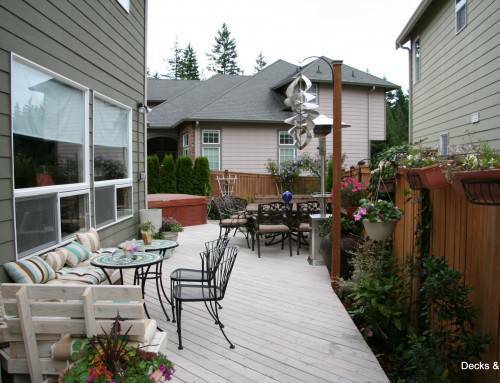 The deck is built to be practical and to compliment the house and landscape completely, as well. 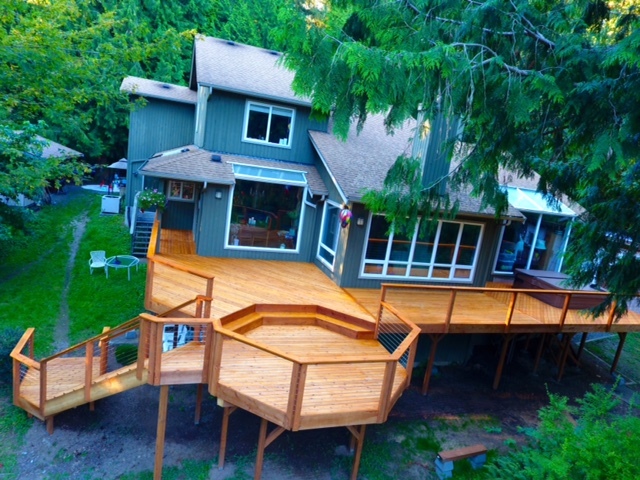 The cedar wood railing was all hand built and stained to match the deck, with cable as the infill you can enjoy the view unobstructed. 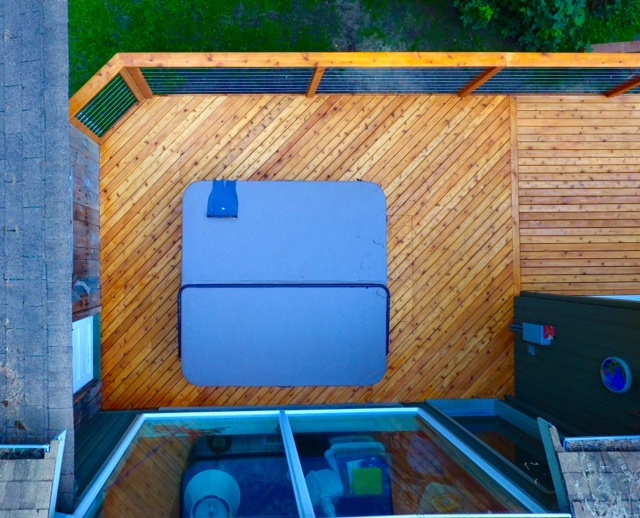 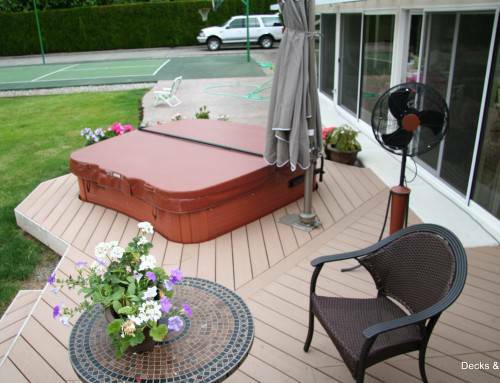 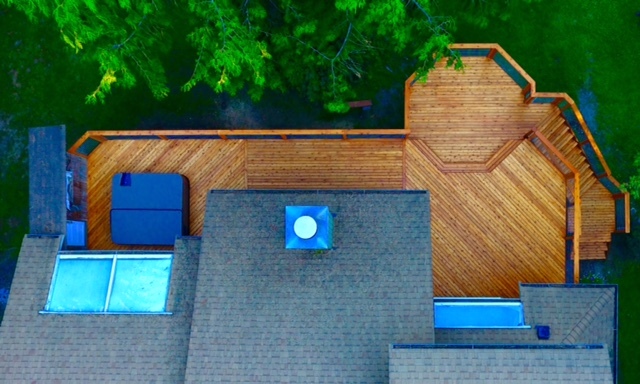 Lastly, you’ll notice the hot tub on the side of the deck is halfway recessed as to not intrude with the design but also for convenience of entering the spa hot tub.